Mini Hatchback Cooper Sport Review and Deals 2019 | What Car? 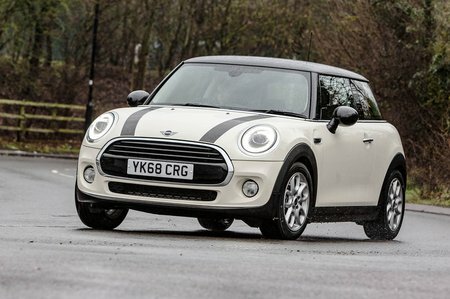 As the name suggests, this adds some hot-hatch inspired dressing to the regular Cooper. That means bigger 17in alloy wheels in black, a sporty bodykit, a rear spoiler, sports seats, sports pedals, a sports steering wheel and cruise control. You can also have sports suspension at no extra cost but if you value your spine, we’d avoid it.